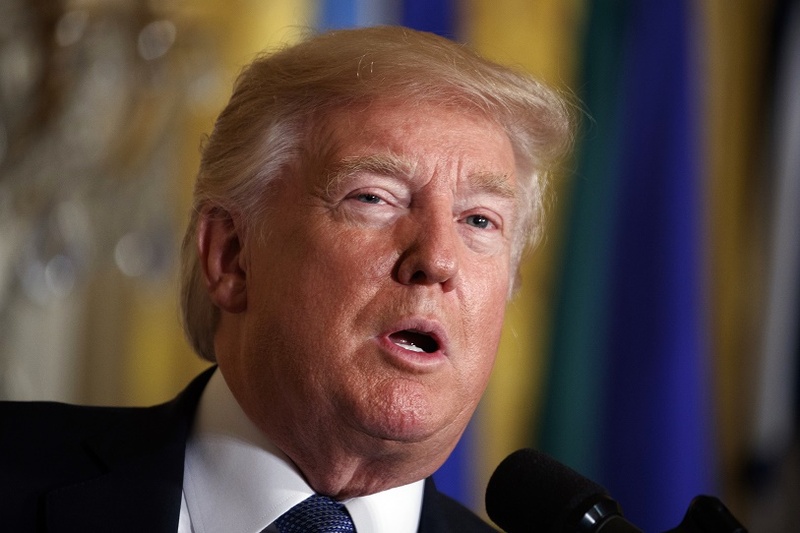 WASHINGTON (CN) – An executive order expected to be unveiled this week by President Donald Trump could undermine the stability of the Affordable Care Act by allowing groups of people to band together and buy insurance outside their states. The order, which is expected to be announced later this week, would give small business owners and other groups of individuals who opt to join together a chance to buy health insurance on the free market and independent of some rules laid out in ACA, the signature legislative achievement of former President Barack Obama. It would also give these groups a chance to buy health insurance plans across state lines. The anticipated move comes after several failed attempts by Republican lawmakers to repeal and replace the ACA, also called Obamacare. Under the new order, groups purchasing health insurance could have the chance to opt out of Obamacare requirements such as coverage protections for those with pre-existing conditions. Another expected change would allow people to be able to buy short-term coverage for up to a year, which is restricted by the ACA. Currently, short-term policies can only be purchased for up to 90 days by individuals who are already healthy. These policies exclude costs for pre-existing conditions, offer no prescription drug assistance and are generally less comprehensive overall. Changes to the Employee Retirement Income Security Act of 1974, which serves as the foundation for employee health benefit protections, are not expected, but the door for federal reinterpretation of the legislation could be forced open. Trump’s coming mandate could also lead to spikes in Obamacare premiums, and may spook large insurers to consider dropping out of the ACA altogether, a move that would starkly divide the insurance market while bringing the White House closer to its hard-fought goal: dismantling Obama’s health care law. Association health plans are typically sponsored by trade groups or other community-based organizations and have been praised by those critical of Obamacare. Sen. Rand Paul, R.-Kentucky, who has long been a vocal proponent for reshaping health care entirely and has supported the administration’s moves to repeal it, took to Twitter on Tuesday to applaud the president’s decision to exercise his executive authority. Health insurance giants like Blue Cross Blue Shield – which did not immediately respond to a request for comment Tuesday – have been cool on proposals for association health plans in the past. Blue Cross Blue Shield also did not fully back proposed reforms to the ACA under the failed Graham-Cassidy bill last month. “Although we support providing states with greater flexibility in shaping health care options for their residents… the [Graham-Cassidy bill] contains provisions that would allow states to waive key consumer protections, as well as undermine safeguards for those with pre-existing medical conditions,” the company said in a statement.